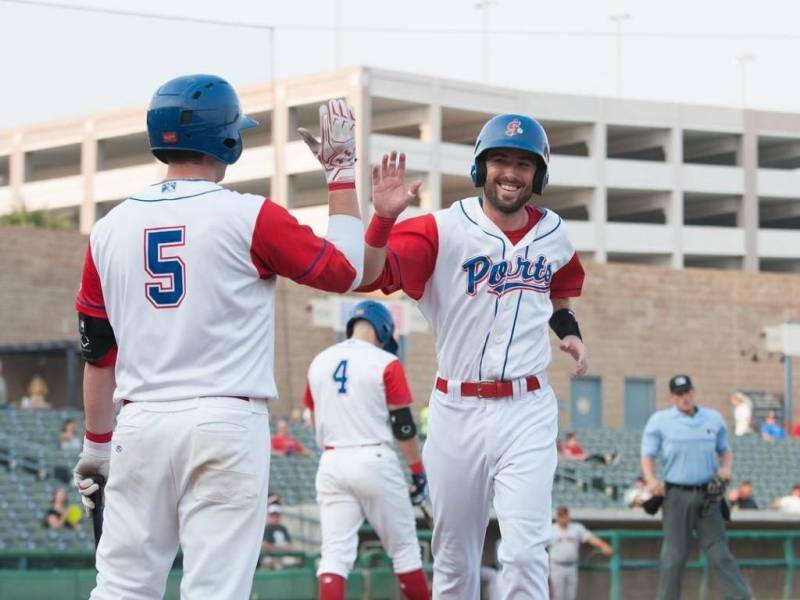 You probably don’t need an excuse to grab some Cracker Jacks and head over to Banner Island (Stockton) Ballpark—but just in case, here are five reasons to root for the Stockton Ports this season the whole family! Baseball is America’s pastime and it certainly holds true in Stockton, California. The sport first came to the port city way back in the 1860s, and Stockton’s team (then called the Stockton Flyers) gained fame as the possible inspiration for the famous Casey at the Bat. After a temporary hiatus due to WWII, the Flyers became the Stockton Ports in 1946. During the 1980s, the Ports won more games than any other team in minor-league baseball! That tradition of grand-slam, red-white-and-blue baseball is continued today. After decades of playing at Billy Hebert Field, the Ports moved to the waterfront venue of Banner Island (Stockton) Ballpark in 2005. As you enter the ballpark, you’re immediately greeted by a full view of the field, which sits right on the beautiful Delta waterfront. The park holds over 5,000 fans and it’s a good thing, too—the Ports regularly draw huge crowds! Sure, we go to the park to see some great ball played, but free bobbleheads sure sweeten the deal! The Ports are known for hosting a bobblehead giveaway or two each season and avid fans are sure to be there to add to their collection. Along with other fun giveaways, the Ports know how to take care of their fans! There are mascots and then there are mascots. At 7’5”, Splash is a big-hearted, radioactive red behemoth of fun! When he’s not swimming in the California Delta and feasting on the legendary deep fried asparagus, Splash is always ready for a practical joke and is full of advice for the umpires. He loves putting smiles on the faces of fans who are young in age and young at heart! The balls, the bats, the park, and the players are all essential to the game of baseball. But really, the heart of the sport and the reason for the game are the fans. And you’ll be hard-pressed to find more enthusiastic and fun-loving fans than the ones who come out to the Stockton Ports games all season long! Oakland A’s (the major-league affiliate of the Ports) fans cheer alongside diehard Ports fans. So bring your family, friends, neighbors, casual acquaintances—whoever!—to the ballpark this Summer and get back to true-blue American baseball, right here in Stockton, California. You’ll probably make a new friend or two—and you’ll definitely make some great memories. You can message us 7 days a week for assistance on shopping, dining, and things to do in Stockton. Stay informed about upcoming Stockton Ports games by clicking here and buy tickets now!